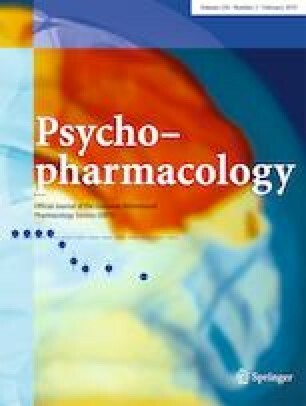 Over-the-counter drugs containing Hypericum perforatum (H. perforatum) have been argued to improve memory and sustained attention. So far, these claims have not been supported in human studies. However, previous studies used rather high dosages, and little is known about the acute effect of small dosages. We evaluated whether an acute treatment with Remotiv 500 and Remotiv 250 (500 or 250 mg of H. perforatum quantified to either 1 or 0.5 mg of hypericin) improved memory and sustained attention, as well as mood and state anxiety in healthy adults. A single dosage, randomized, double-blind, placebo-controlled trial was conducted with 82 student participants (33 women). Each participant received placebo in one session and one of two dosages in the other session. Order of the sessions and dosage conditions were randomized between subjects. Participants completed a battery of tasks assessing short-term memory capacity and sustained attention. A significant positive effect of Remotiv 250 on digit span (mean Cohen’s d = 0.58; p = .01) was observed. By contrast, Remotiv 500 had a negative effect on digit span (mean d = − 0.48, p = 0.04). A similar effect emerged when factoring across tests of short-term memory. Both dosages improved mood (d = 0.60, p = .03). The results indicate that acute treatment with small (250 mg) dosages of H. perforatum has a positive effect on the capacity of short-term verbal memory, and stress the importance of maintaining small dosages in nootropic applications. The online version of this article ( https://doi.org/10.1007/s00213-018-5088-0) contains supplementary material, which is available to authorized users. This work was supported by the I-CORE program of the Planning and Budgeting Committee and the Israel Science Foundation (1821/12).